What's the Best Productivity Planner? What’s the Best Productivity Planner? Every millionaire I know uses a paper planner. Why is that? There are a few reasons. 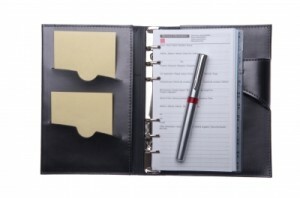 For me, a paper planner helps me organize and structure my thoughts to be most productive in a day. I’ve found it’s especially helpful to write my top 3 priorities for the day the night before. Now that it’s December, it’s time to get a planner for next year. As I was shopping online, I thought to myself “I bet there’s something out there that is better than what I’m using today.” Let’s compare my top 4 productivity calendars side by side. At the end, I’ll tell you which one I decided was best for me based on my life and business situation. Get the most out of your planner! The planners listed below are all excellent and worth considering for to assist you in growing your productivity. I loved the questions and layout of this planner. Pros: It is a daily calendar – one day per 2 pages- with numerous questions to check in on daily, including what you are grateful for, a weekly goal reminder, and what you’ll do differently tomorrow. There’s also a end of the week checkin and self assessment. Very useful and thought provoking. Cons: For me, I prefer a full year calendar and I also like being able to layout the whole week’s schedule on one 2-page spread for planning purposes. This calendar is by the same people above. There are similar questions and monthly planning sections. Pros: The layout shows a whole week on one page. There is an area to write high priority goals and miscellaneous errands/tasks. There is a gratitude and reflection area and a small picture of the month as a whole. Planning and checkin are on the monthly level (instead of weekly in the 90 day planner) for many aspects of life. Cons: There isn’t an area to write tasks for each day. I appreciate having a monthly review but a weekly one would be nice also. There are a couple variants of this calendar- I’m reviewing the first one listed below. There is also a Mom’s version that may suit you well depending on your lifestyle. Pros: One week per 2-page spread. The Scehdule runs from 5 am to 11 pm- which is nearly my schedule. There is a section to set weekly goals and prioritize, make notes under each day. The focus is on desired outcomes. There is also a monthly goal setting section which has helpful questions. Cons: Not as “deep” and serious on the goals related questions as the InnerGuide planners. This planner covers just about everything. Pros: On the one day per 2-page spread, there is a space for making time for people, to what you eat, if you exercise, how long you sleep, and did you walk in integrity for the day. Cons: It has a lime green print which may or may not appeal to you. I prefer seeing a whole week per 2 page spread. There is a lot of space for “Tasks” and “Purpose” which I believe is better used for other questions that will create results. The biggest thing missing is a way to write in appointments- unless it is not pictured in the product listing images. What is the best productivity planner? Alright! So, out of these 4 great productivity planners, which one did I choose? I choose the Tools4Wisdom planner. I really appreciated the InnerGuide planners but wanted a week on 2 pages along with space to write notes for each day inside the week. I may get the 90 day InnerGuide and test it alongside the Tools4Wisdom to see if one is more valuable to my production than another. I hope this review was valuable to you. Please Like and Share it so that other people can benefit! Please Note: Links to amazon are affiliate links and someone (not me) may be paid a small percentage if you decide to purchase one of the planners above.